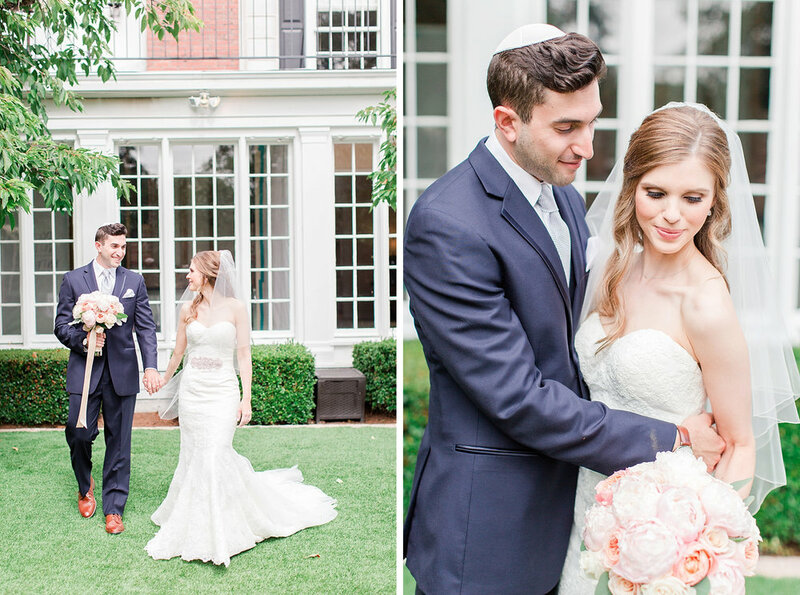 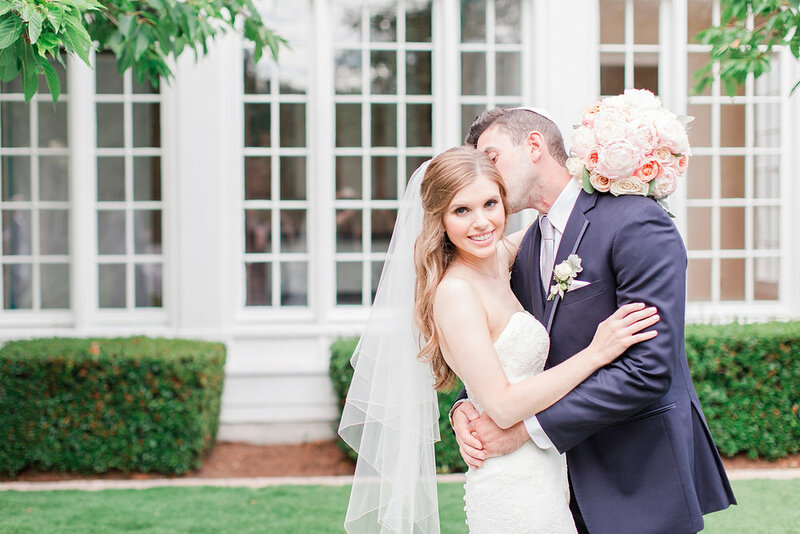 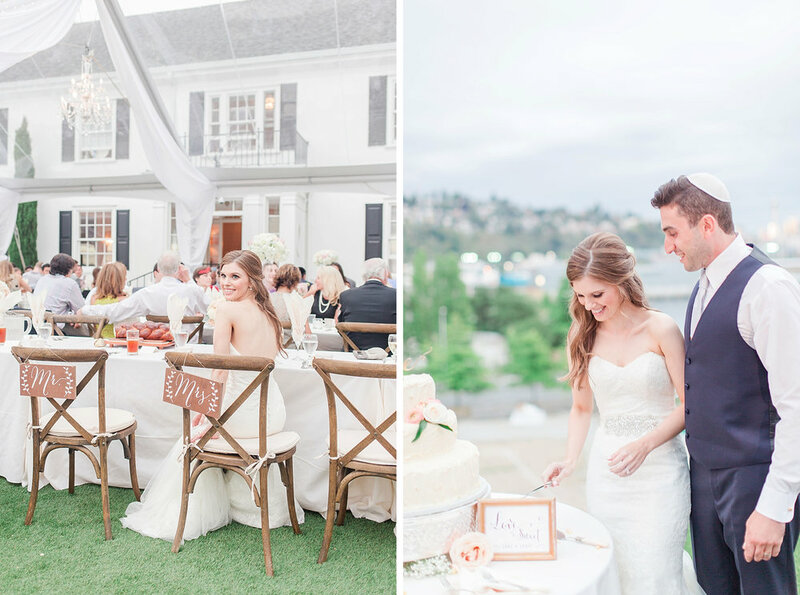 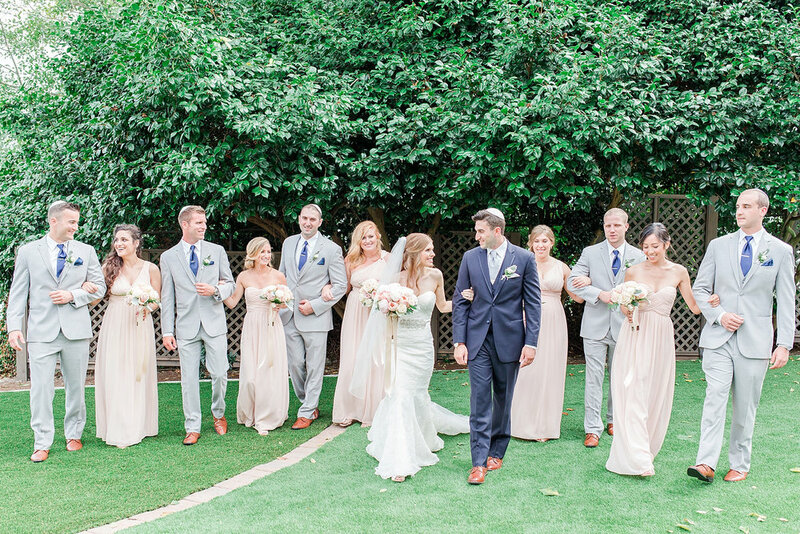 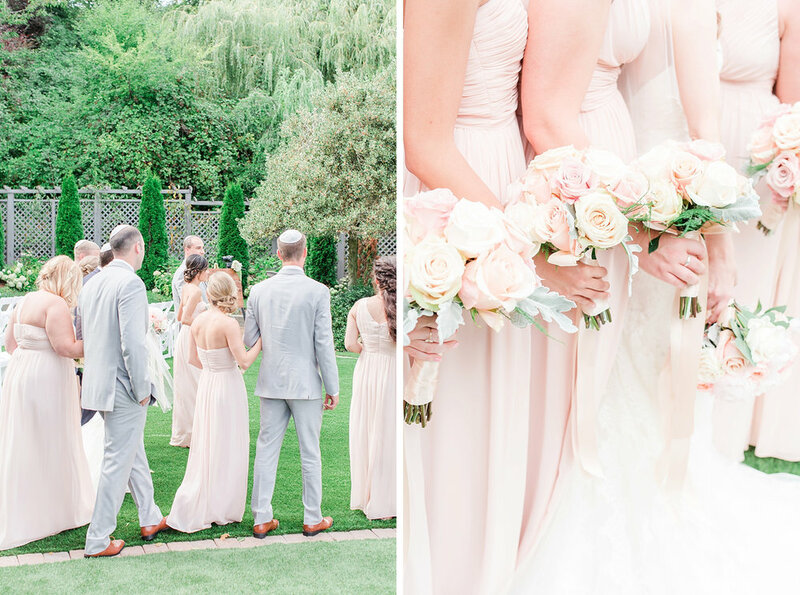 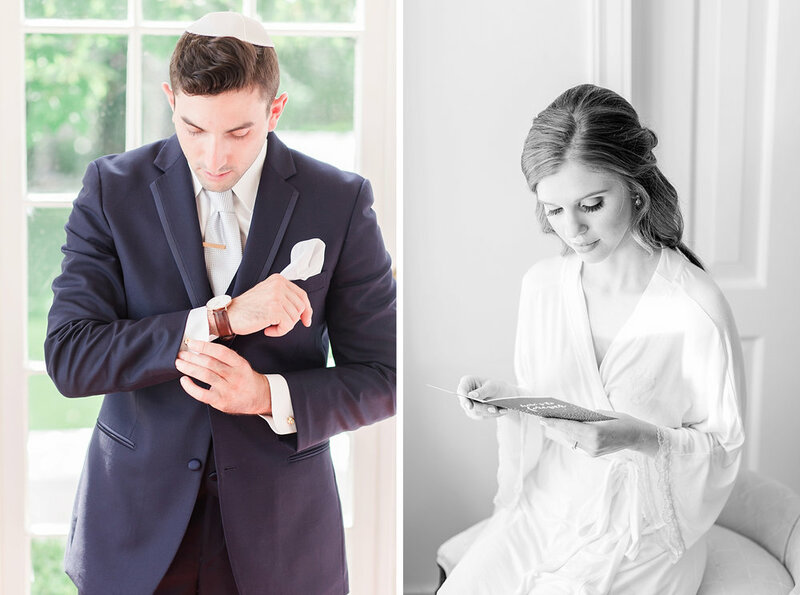 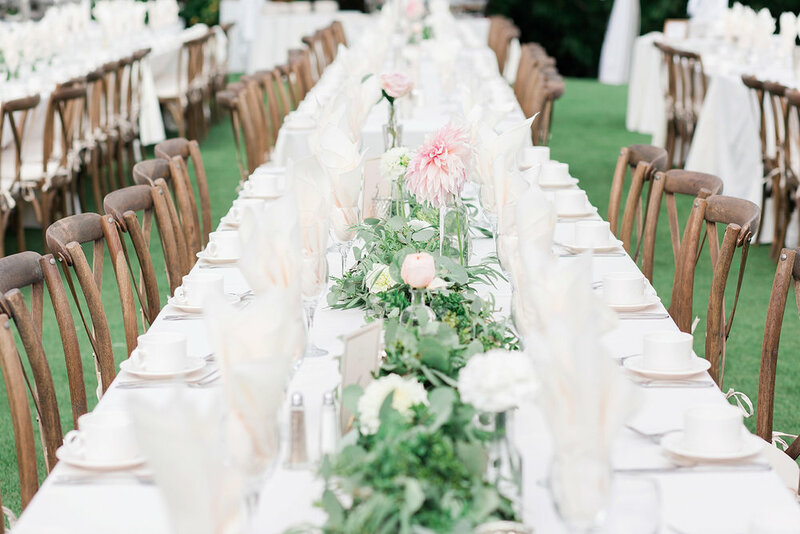 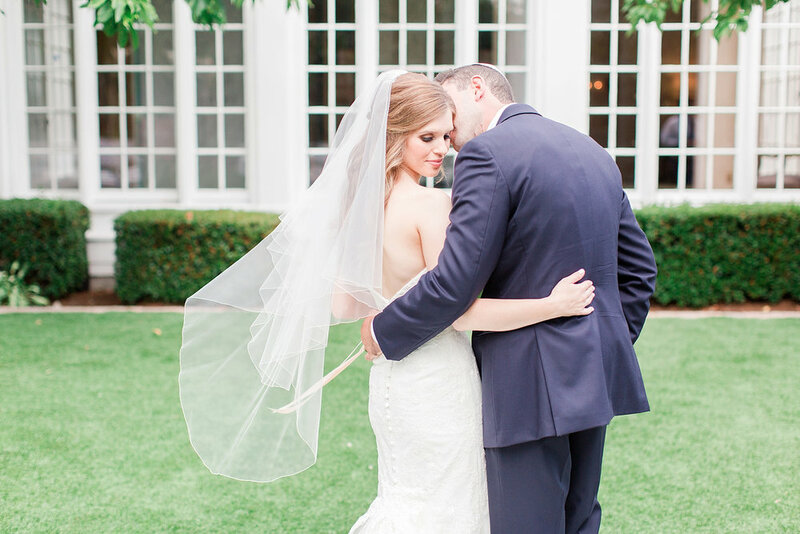 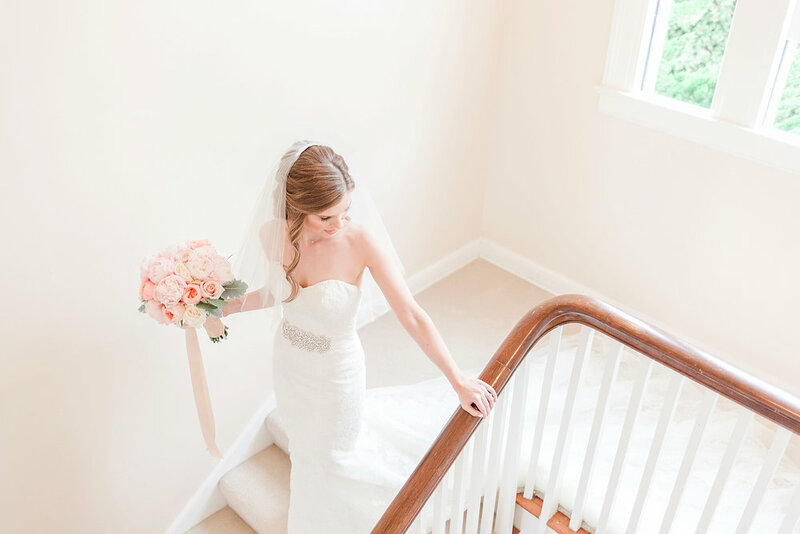 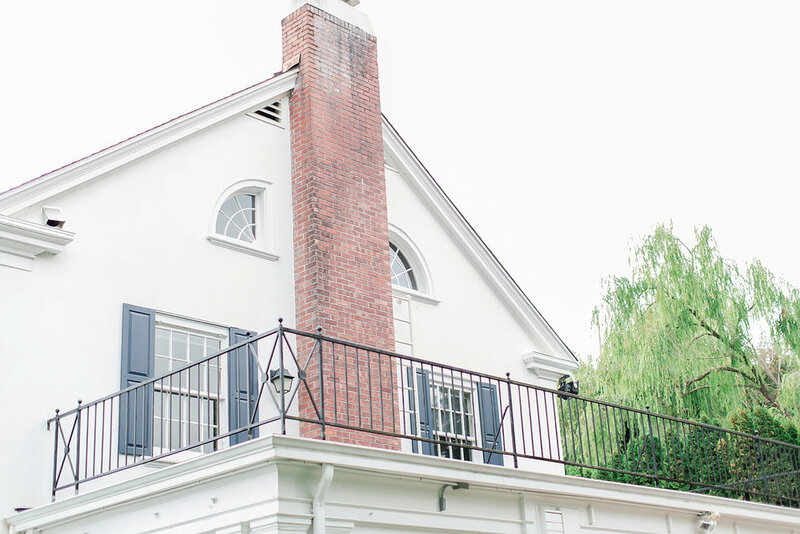 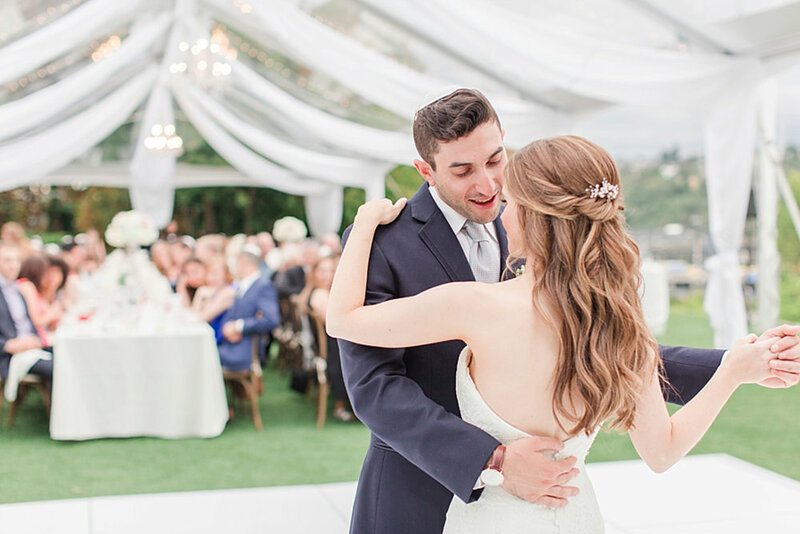 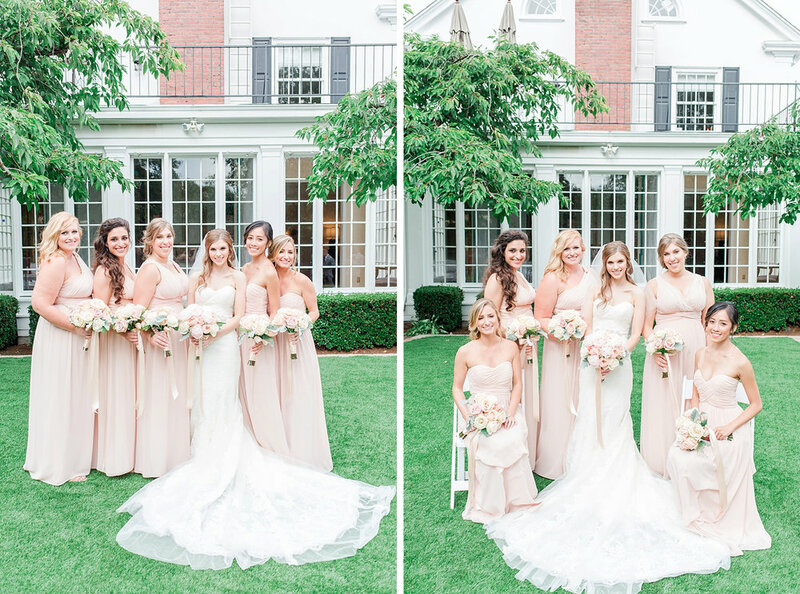 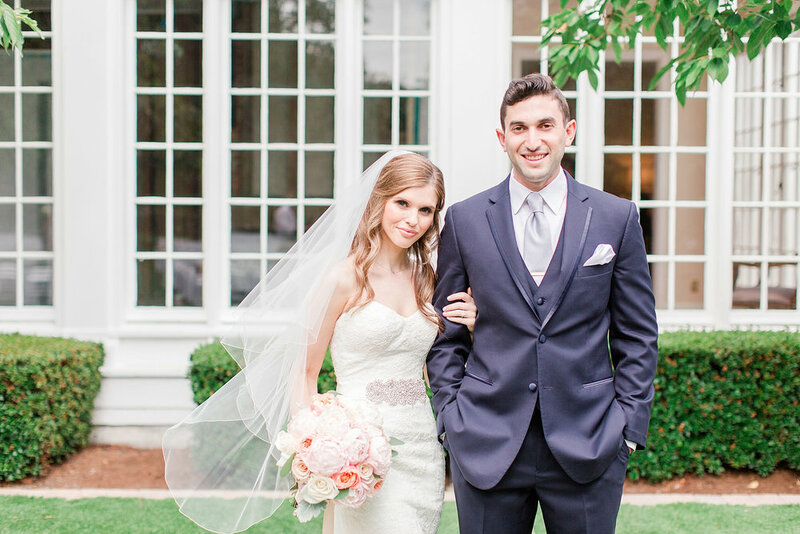 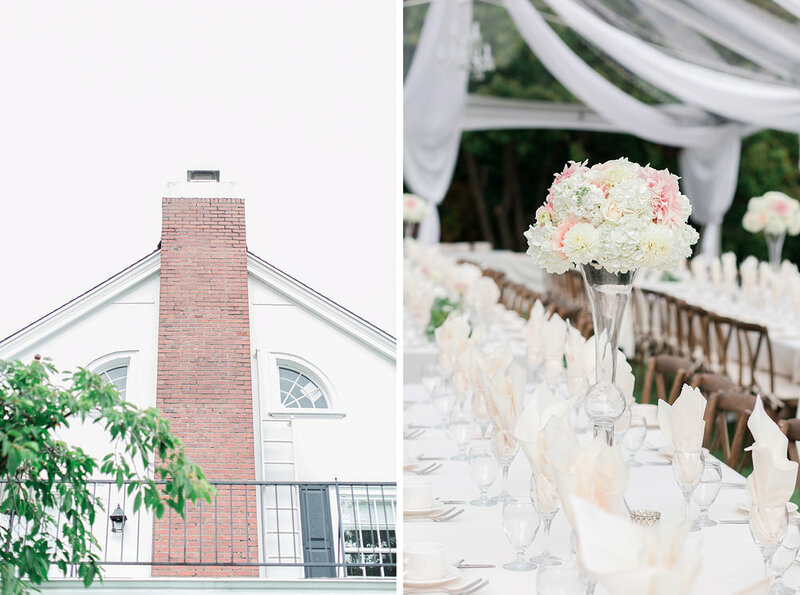 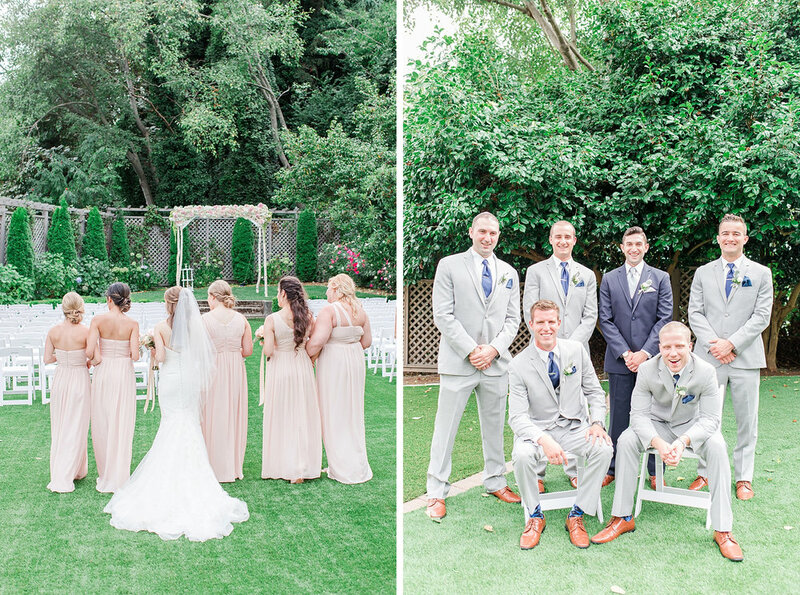 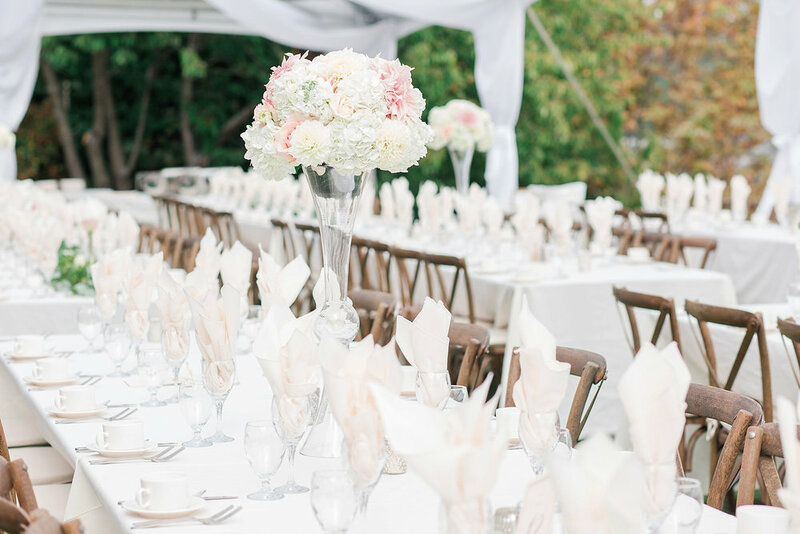 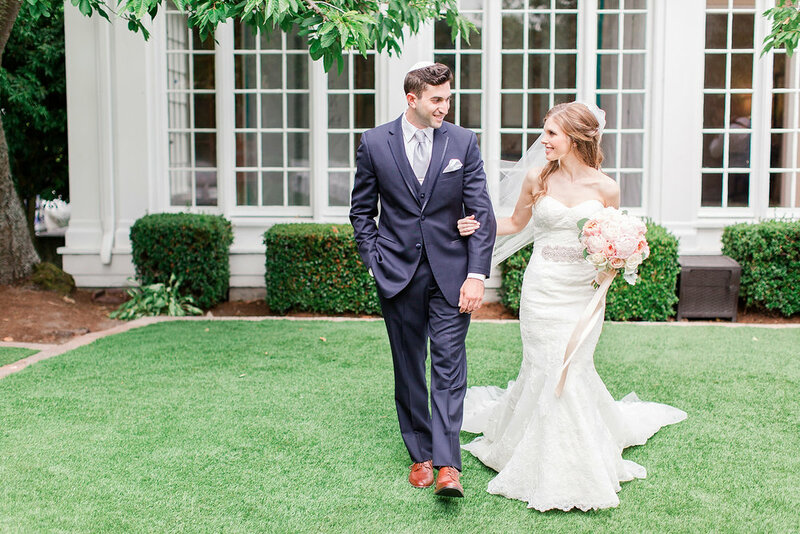 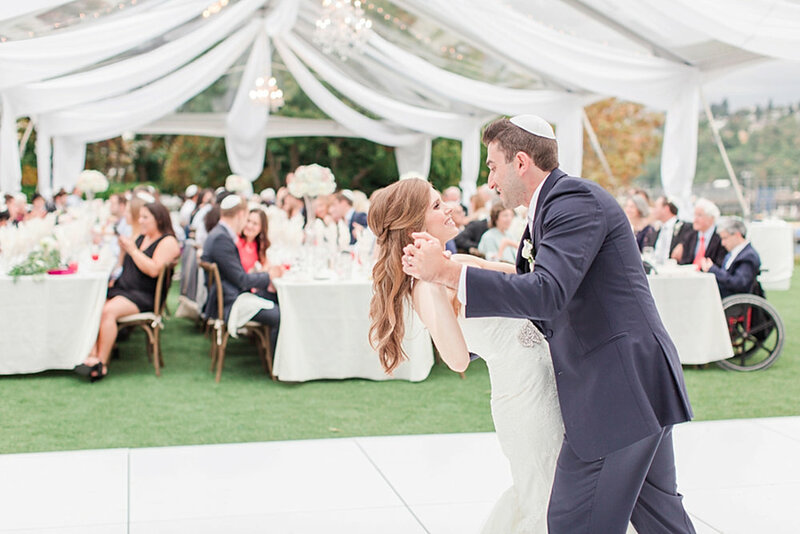 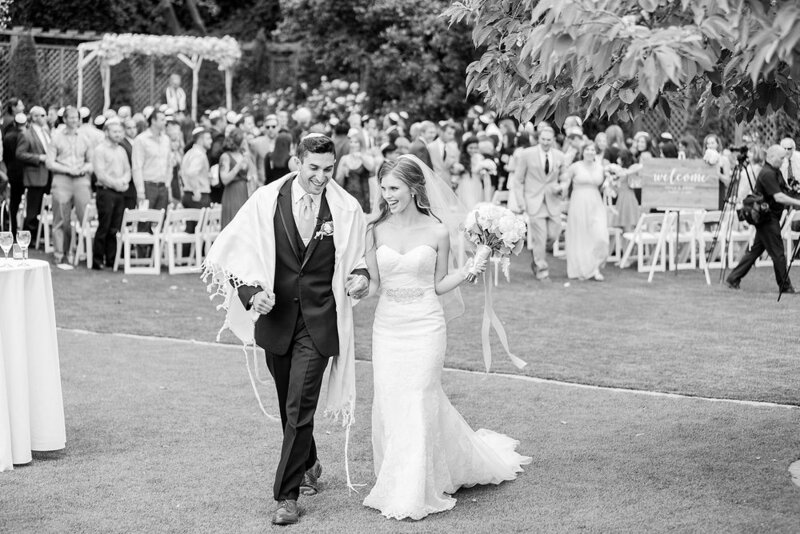 Jeremy & Kayla's Classic Jewish Wedding at The Admiral's House | Featured in Seattle Bride Magazine "A Garden Party Celebration in Magnolia"
Jeremy & Kayla's stunning blush-filled classic wedding was an absolute fairytale in every way. 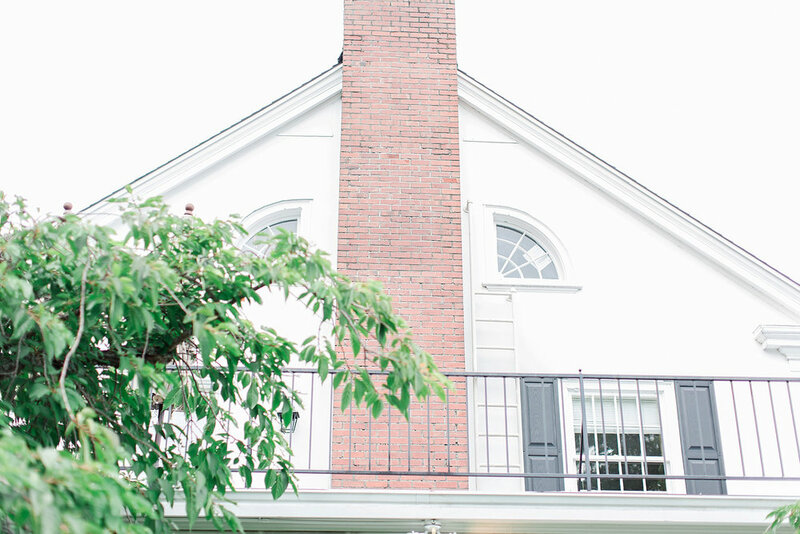 Kayla is a total planner (she brought her notebook full of notes to our first meeting!) 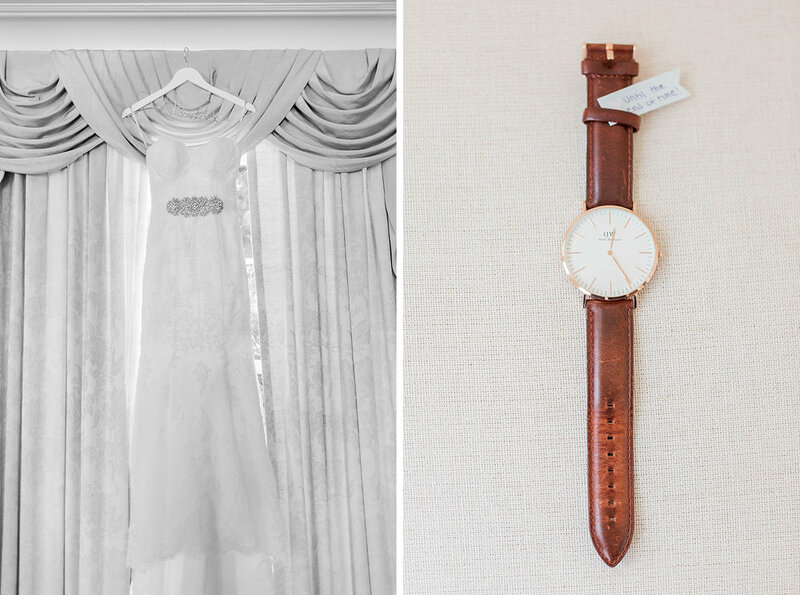 and needless to say her planning skills DEFINITELY shone through on their wedding day! 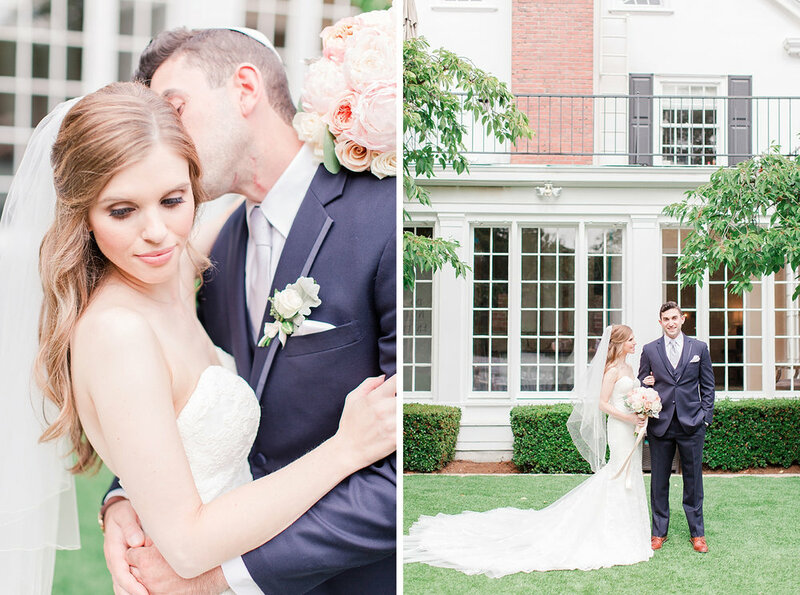 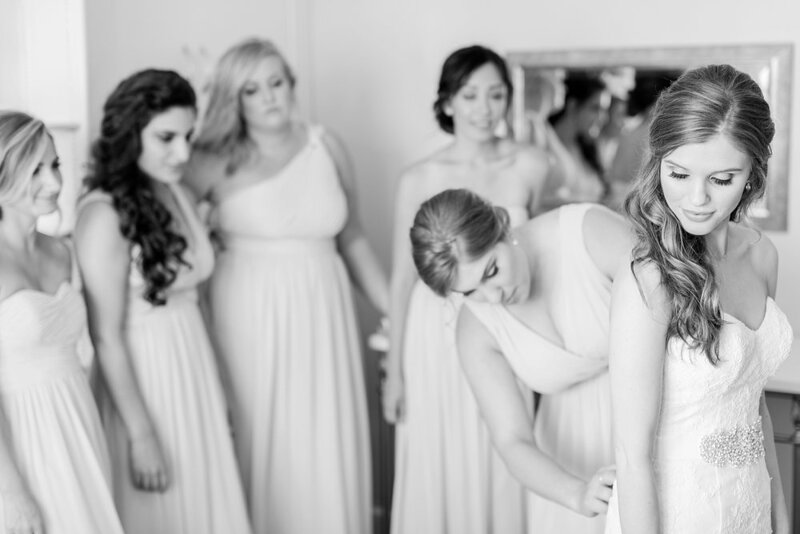 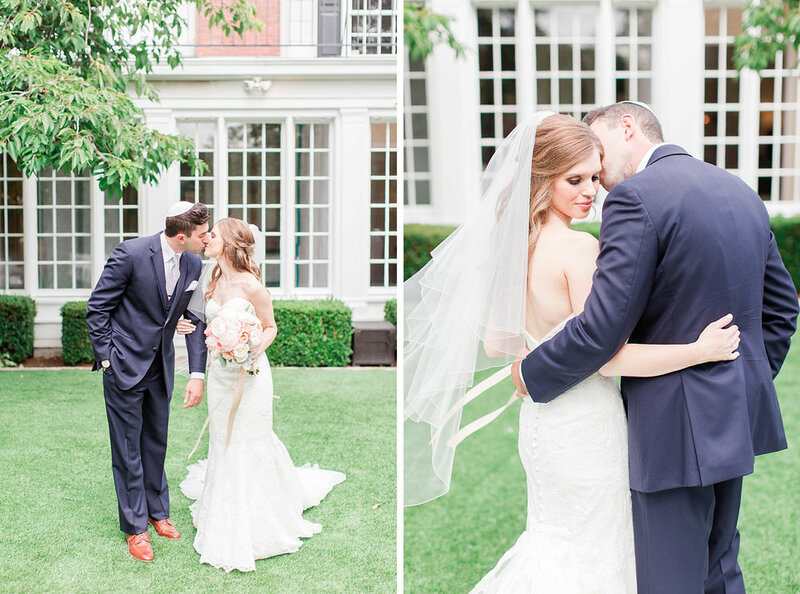 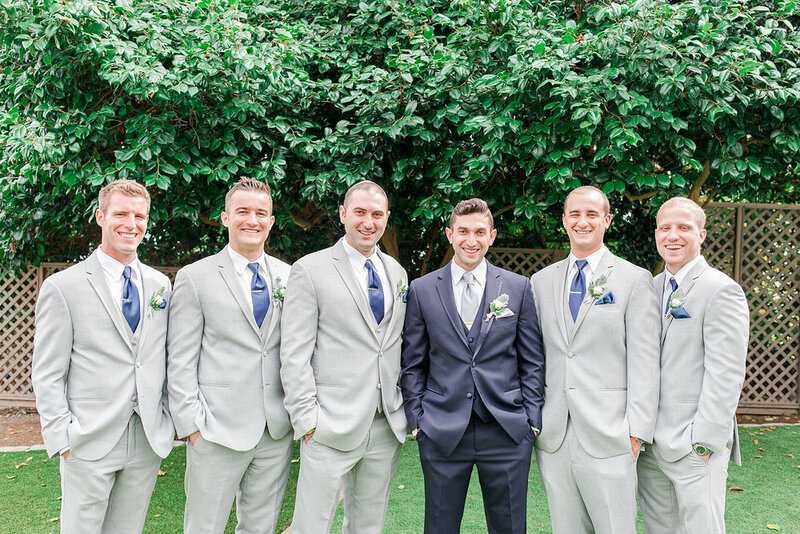 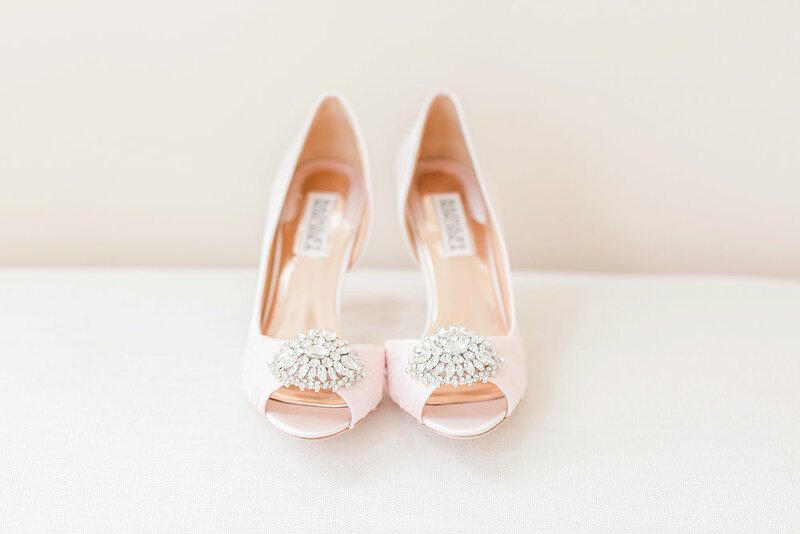 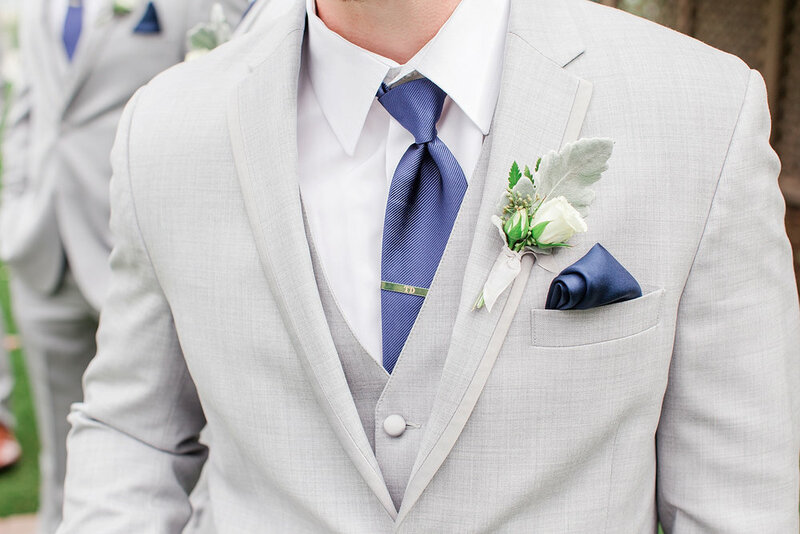 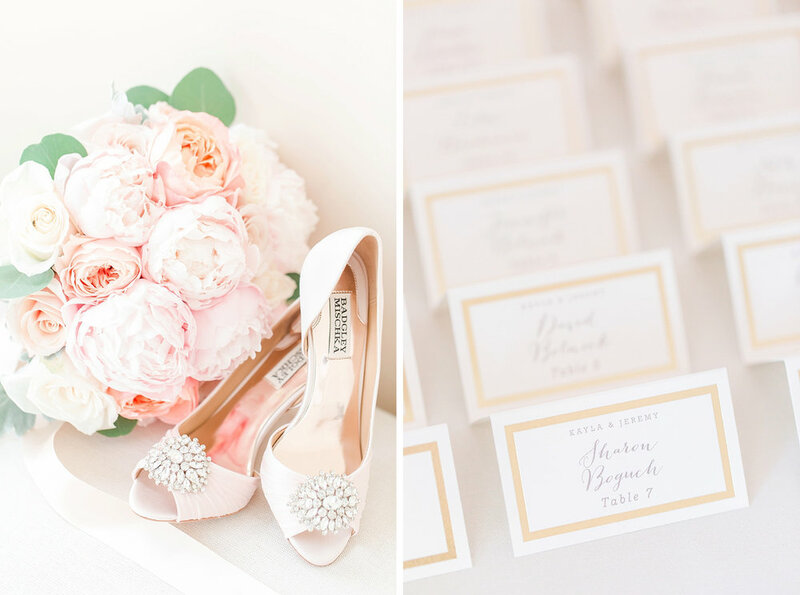 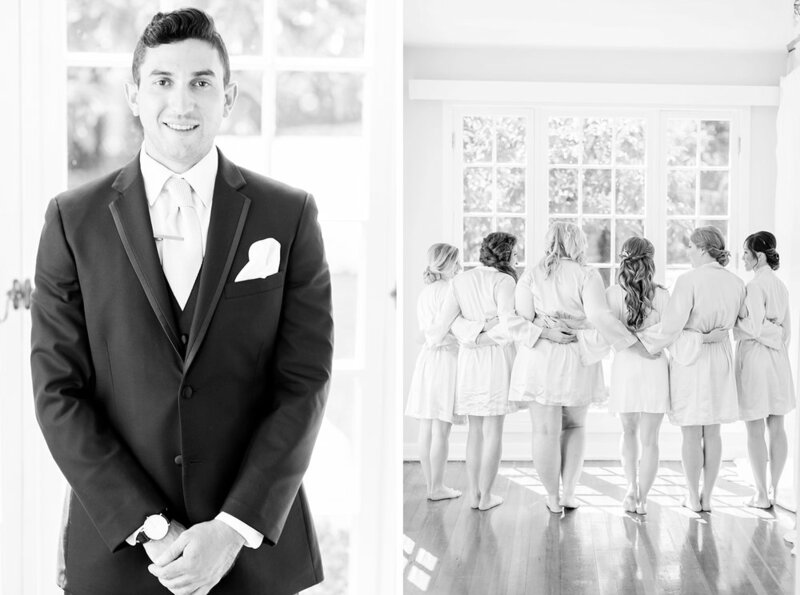 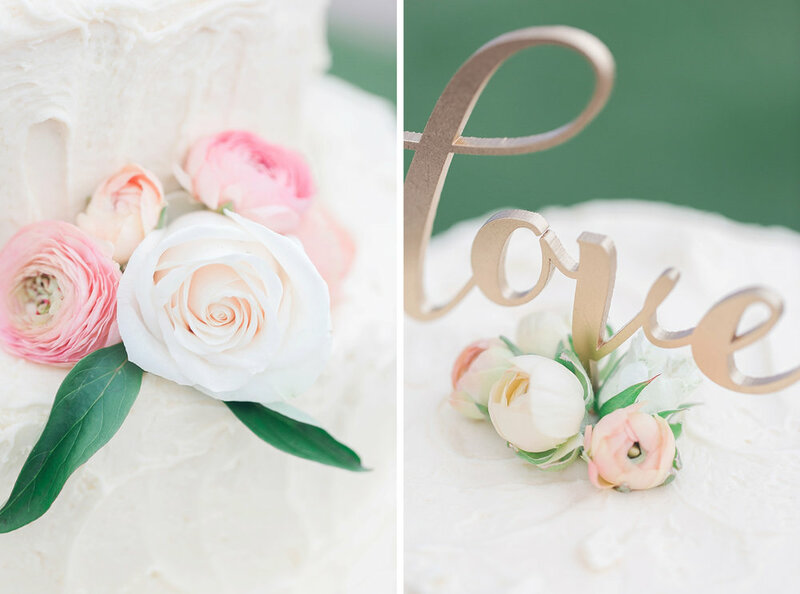 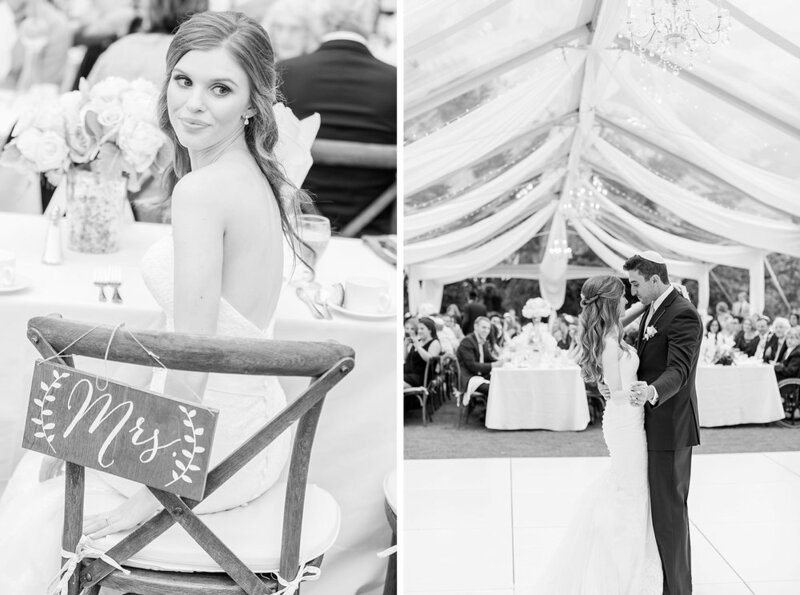 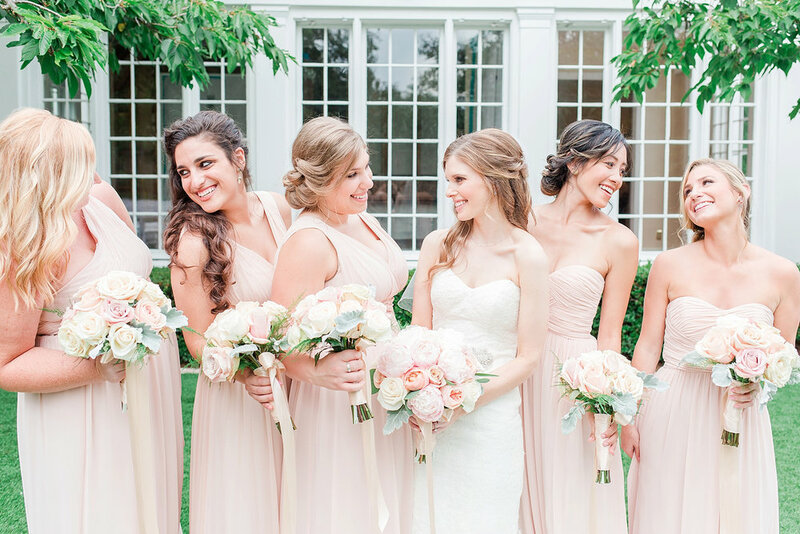 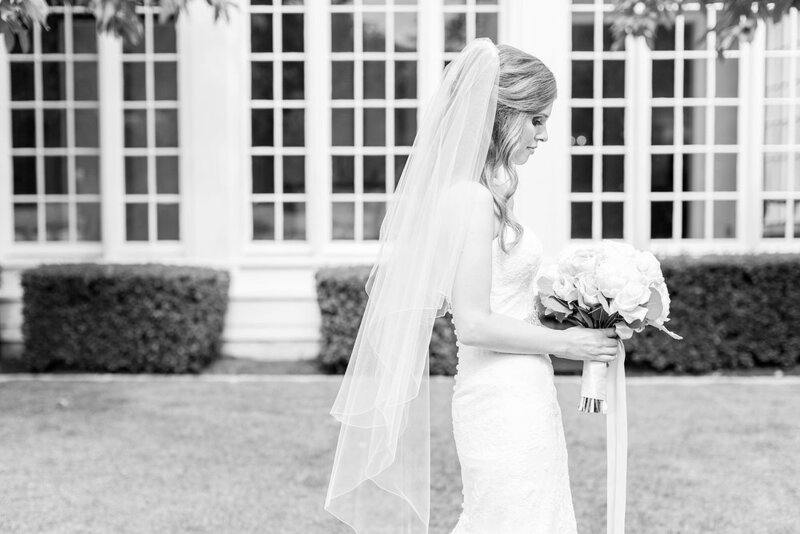 Their wedding was the epitome of a classic, elegant, and romantic affair. 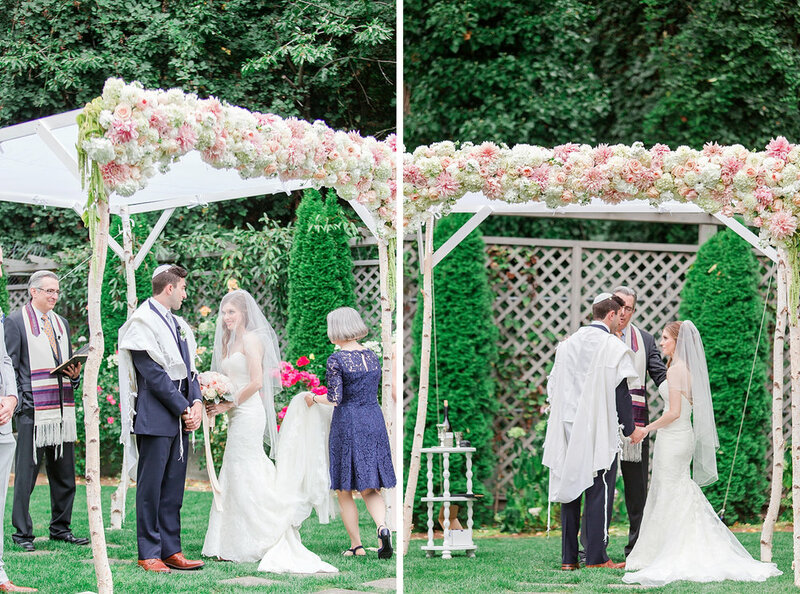 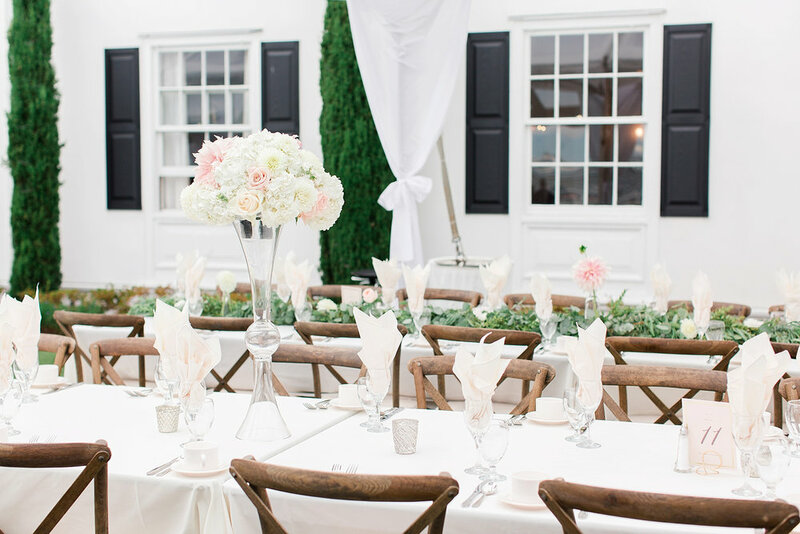 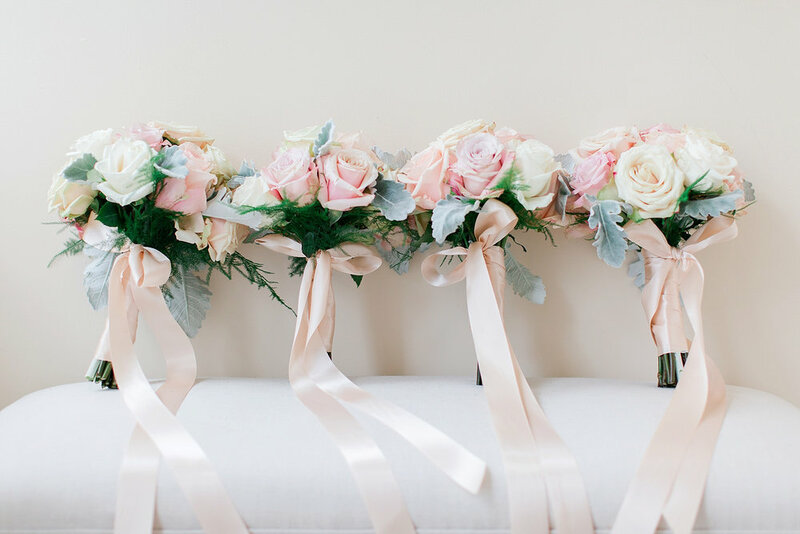 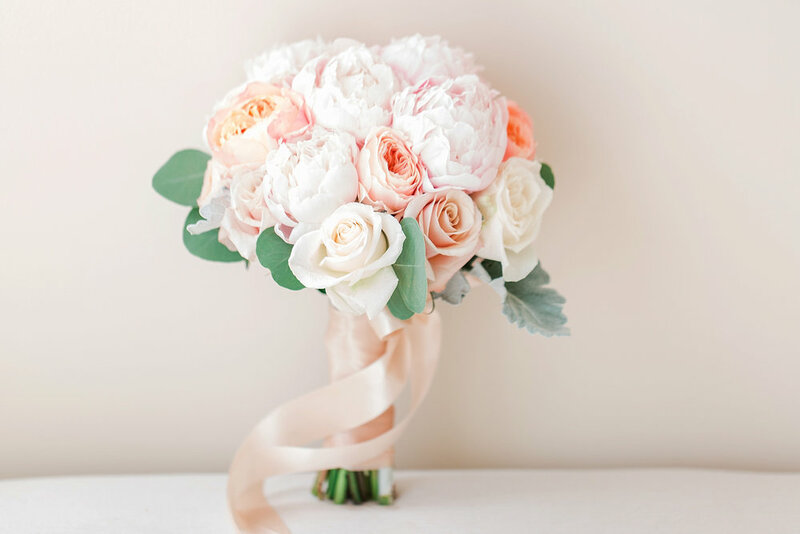 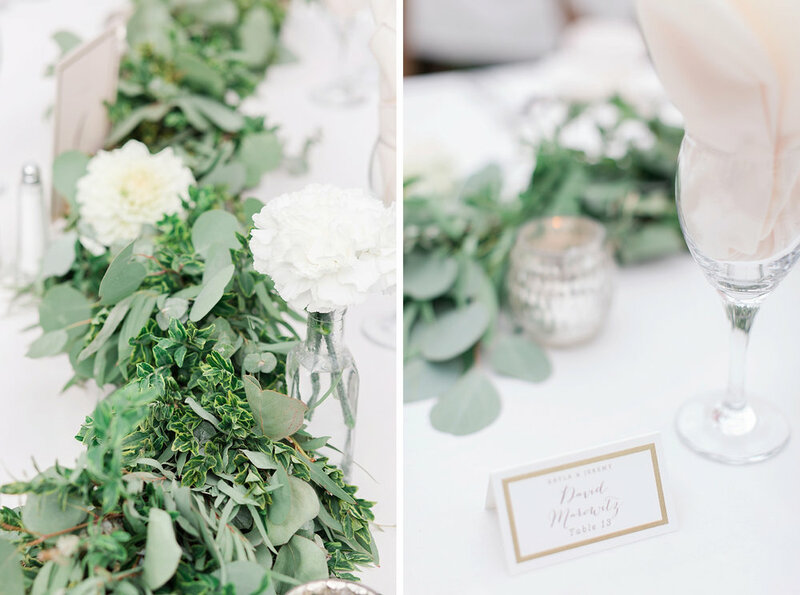 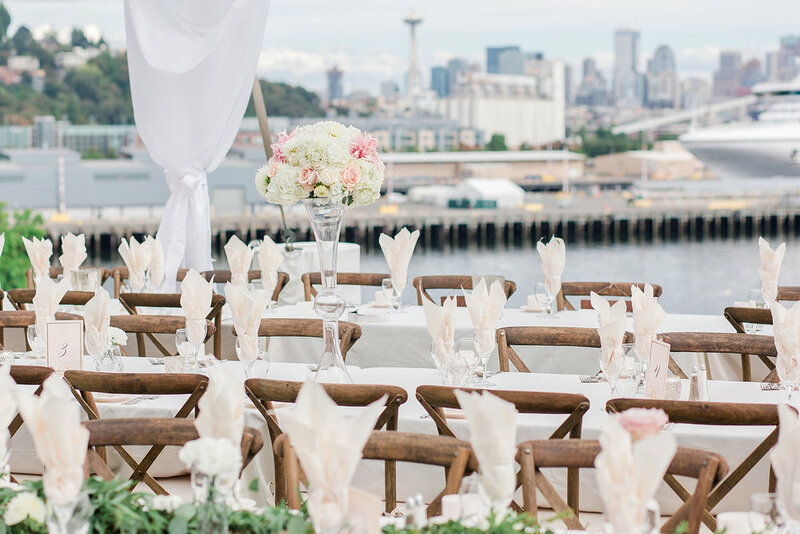 They had a traditional Jewish ceremony at The Admiral's House, a stunning white mansion in Magnolia overlooking the Seattle skyline, with tons of greenery and cream and blush peonies and roses everywhere (courtesy of the amazing Althauser Design). 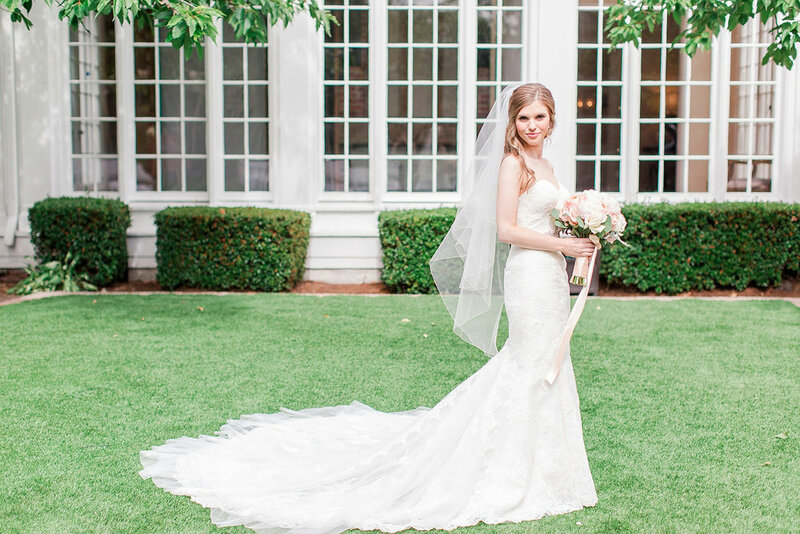 It made my photographer's heart oh-so-happy! 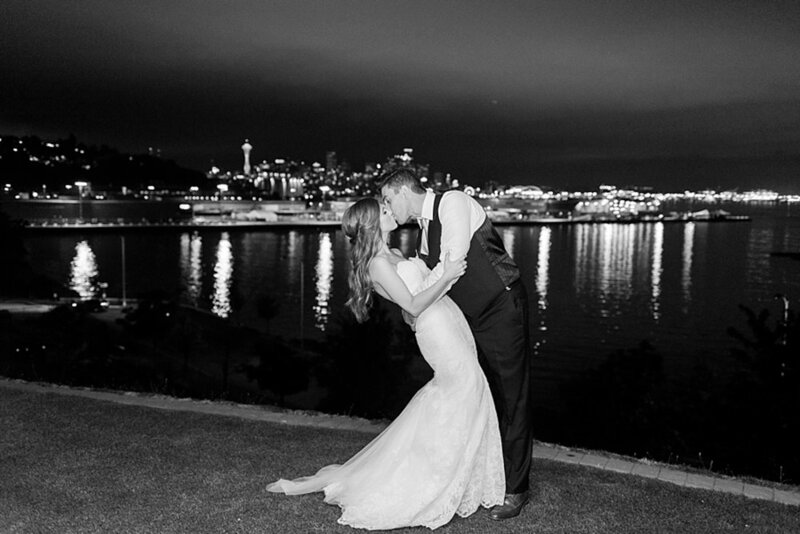 As I'm sure you can imagine, as excited as we were about seeing their gorgeous wedding in Seattle Bride Magazine (online AND in print!)... 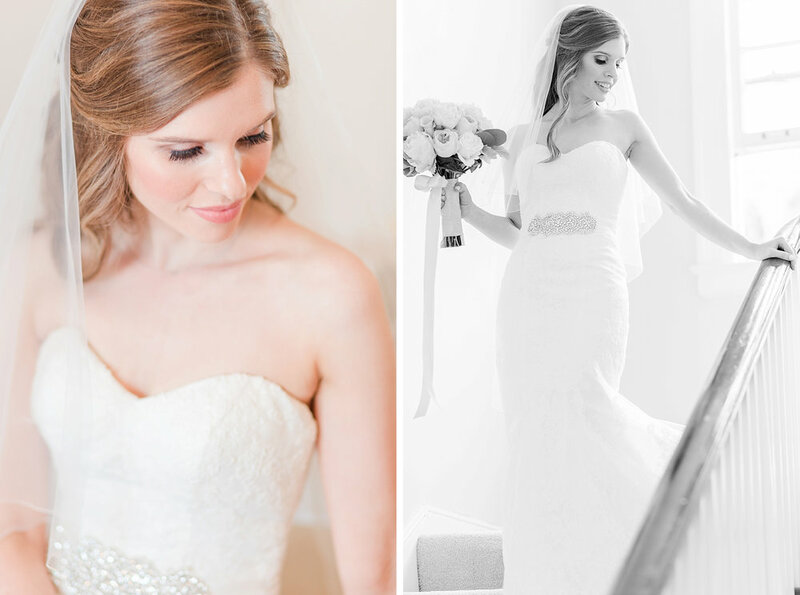 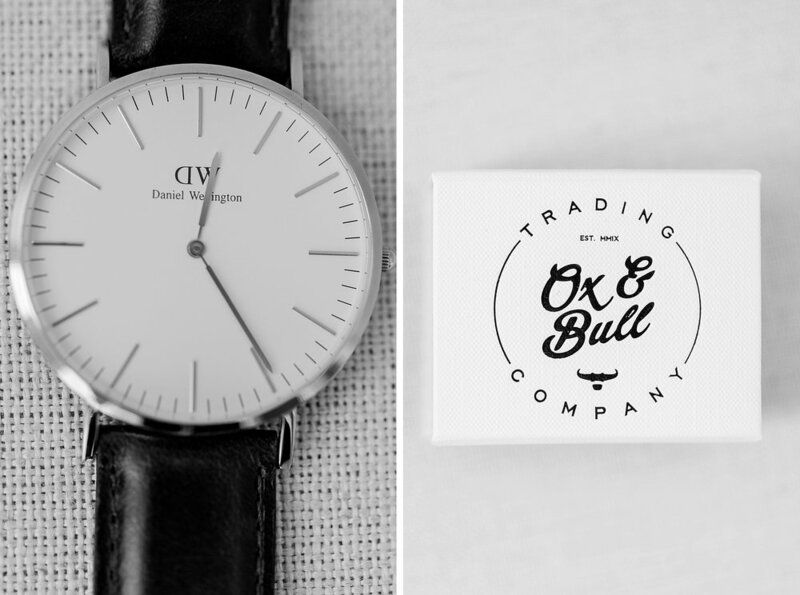 keeping these images completely under wraps has been so hard!!! 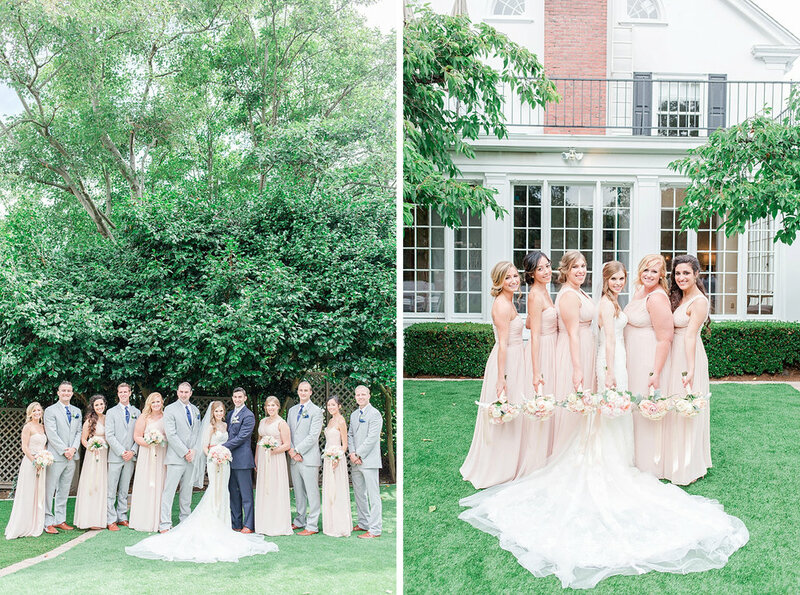 I've been waiting for months to share this beautiful wedding and am so thankful I can finally share it! 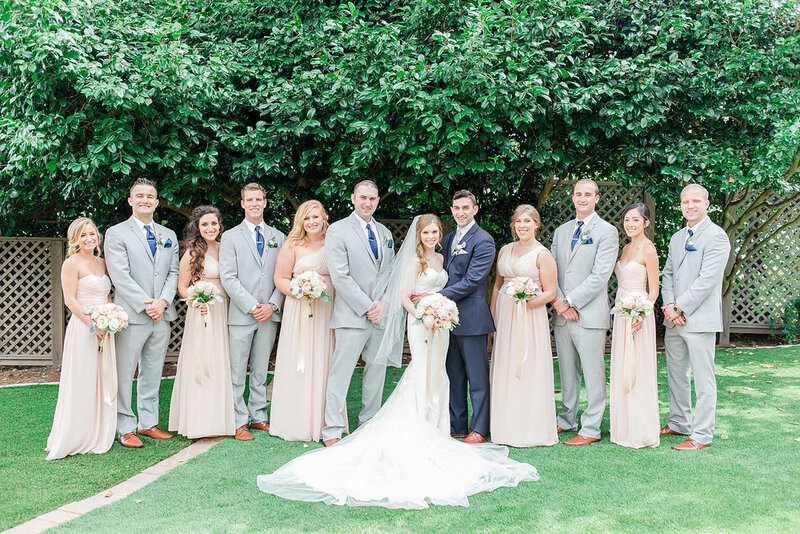 Admiral's House, Calla Bridal, Leah Cooks Kosher, Men's Wearhouse, Minted, The SnapBar, CORT Party Rental, British Motor Coach, Bogle Productions, Donna Morgan, Althauser Design, kls makeup artistry, Integral DJs, and Alexander Party Rentals.